Our Ovenclean specialists use a unique range of no added caustic-soda cleaning products to clean your Aga range cooker. 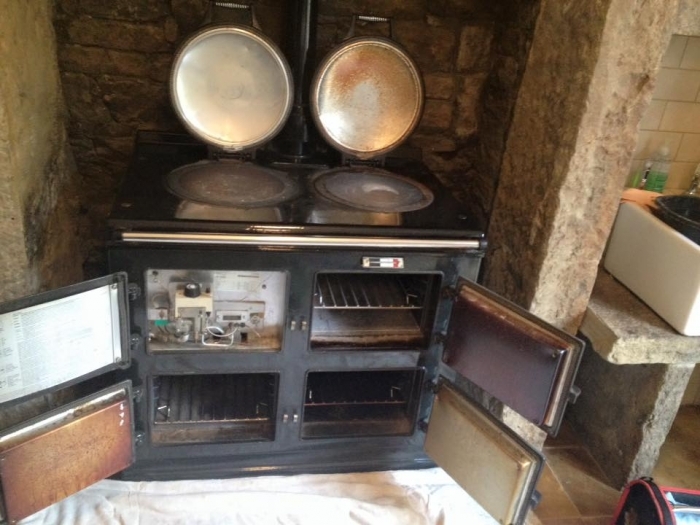 Our specialists will restore your Aga range cooker, whilst also working to protect and enhance its enamel finish. 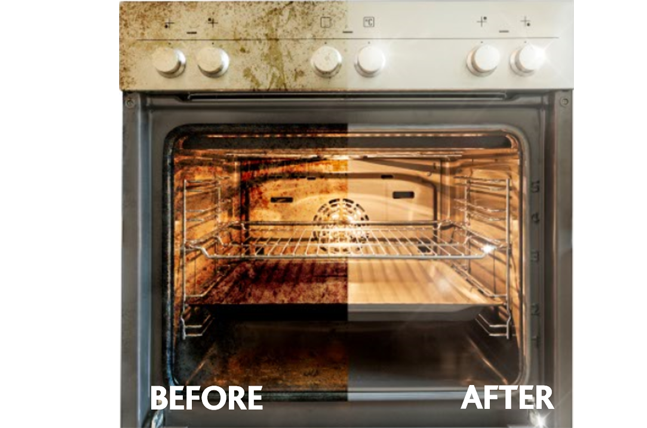 Ovenclean deep cleaning means that we can remove built up and burnt on food deposits, increasing the safety of your cooker and taste of your food. To talk through your particular Aga range cooker cleaning requirements with your local Ovenclean specialist, call our 24/7 UK-based call centre on 0800 840 7127 for a free no-obligation quote. Alternatively, you can book your clean online today. 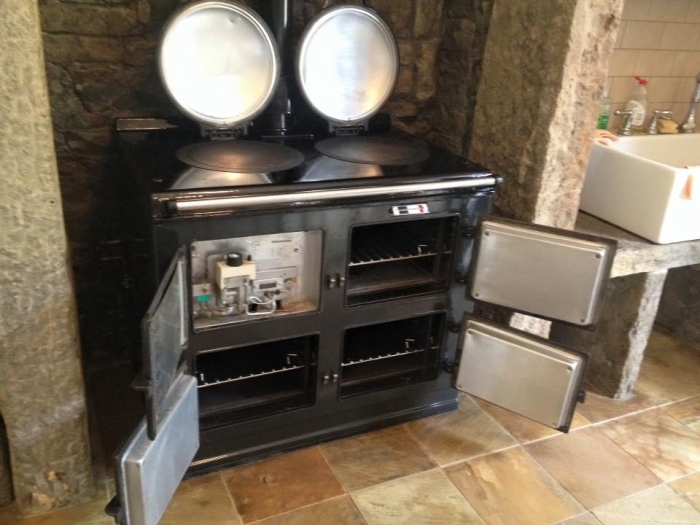 Thinking of having your AGA serviced? Click here to read our blog and find out how! Hot plates lost their shine? Ovenclean work hard to remove even the toughest of stains. We can clean your Aga hot plates to a fantastic standard so they’ll sparkle again! We have had our Aga cleaned previously by other companies, only to be disappointed. However, the young man from Ovenclean did the best job we have ever had done on the Aga! We will be very happy to use you next year.